Knowing how to update the DJI Phantom 4 firmware to the latest version is important. These firmware updates contain fixes to solve software bugs, add new features to the quadcopter, gimbal, camera and remote controller. This article has all the instructions, best practices and tips on how to successfully update the firmware on your Phantoms 4. Instructions include upgrading the Phantom 4 Remote Controller, the DJI Go and Assistant 2 apps. We also have 3 firmware update videos at the bottom. Also, there are some important tips on what to do if the Phantom 4 firmware upgrade fails during the update process. 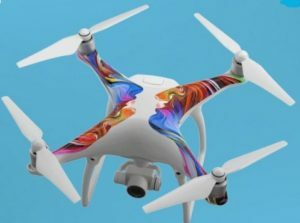 There are 2 ways to update the Phantom 4 quadcopter. You can update the Phantom 4 with the DJI Assistant 2 or the DJI Go app. It is also very easy to update the Phantom 4 Remote Controller using the recommended DJI Go app. Each Phantom 4 firmware update will fix bugs, make improvements or add new features to your quadcopter. The Phantom 4 Advanced and Phantom 4 Pro update instructions are the same. However, the firmware versions are different. So, make sure that you download the correct firmware for your Phantom 4 quadcopter. A firmware upgrade is a very important process. The firmware download and upgrade to the Phantom 4 and RC needs to complete successfully. The firmware is the critical software which makes the components on your drone work. So it is vital the firmware update process runs really smooth. If a firmware download is interrupted or the firmware file is incomplete, then you would have to start the download process all over again. More than likely, you won’t get the “start upgrade” option with an incomplete firmware file. If the firmware file is incomplete or corrupt you could damage a component or your drone will just not fly. With these steps you can avoid an unsuccessful firmware update. Never be in a hurry to do a firmware update. The Phantom 4 firmware update needs approximately 1 hour from start to finish to be on the safe side. Give yourself plenty of room and a quiet spot so you can concentrate without any disturbance. Do not perform firmware update while the aircraft is still flying in the air. Remove the propellers before starting the firmware process. Have at least 50% in your batteries before starting the update. The best advice is to have fully charged batteries in your quadcopter, remote controller and mobile device (cellphone or tablet). When downloading the firmware update package, make sure you have a very good internet connection. You don’t want to loose your internet connection while downloading the firmware package. If you do lose the internet connection, it would be better to start the firmware download again. Updating the firmware file is very important and we need to be 100% certain that the file downloads correctly. Turn on Airplane Mode on your mobile device so you won’t receive any incoming calls while the firmware is downloading, or while the Phantom 4 is being updated. There are 2 methods to update the Phantom 4 firmware. You can update using the DJI GO app or the DJI Assistant 2 app. It’s best to have the latest versions of these applications on your smart cellphone or tablet device. If you have previously changed settings such as collision avoidance, maximum flight, horizontal distance or return to home altitude etc, check these settings and verify that they are how you want them set. It is quite possible that the firmware update could put these back to factory settings. 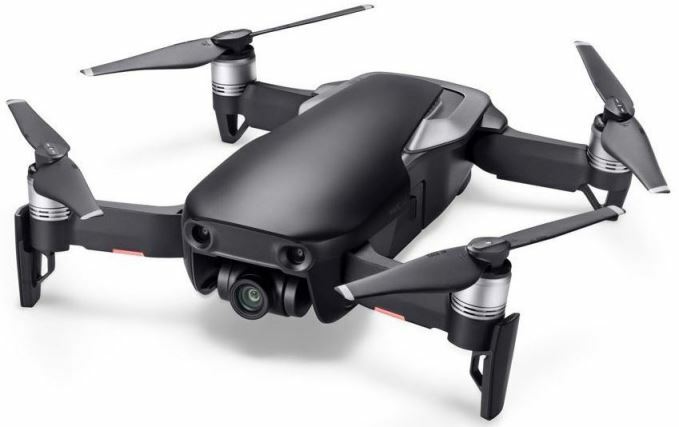 This could happen especially if the firmware update was to fix a bug or add new features to the IMU, Gyro stabilization systems, flight controller or other related drone components. It also may be a very good idea to do a Phantom 4 IMU calibration after the update. After each firmware update, you need to calibrate the Phantom 4 compass again. Here is the link to the various Phantom 4 models on DJI’s website. Choose your Phantom 4 model. Then look for the downloads page. You will then be able to manually download the latest firmware version. Here is the process to upgrade the firmware on the Phantom 4 quadcopter and the remote controller. 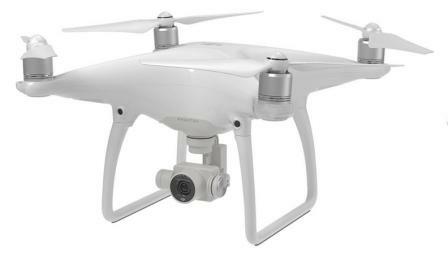 There are 2 ways to update the Phantom 4 quadcopter. You can update the Phantom 4 with the DJI Assistant or the DJI Go app. To update the firmware on the Remote Controller, then the DJI Go app is recommended. Follow the below instructions and watch the videos at the end a couple of times. Take your time doing the upgrade. Once you have completed a firmware update on a number of occasions, then it will become second nature to you. Updating the Phantom 4 quadcopter is very easy using the DJI Assistant software. To update the Remote Controller, the recommended option is to use the DJI Go app. Plug the Phantom 4 into your computer using your micro USB to USB cable. Open up the DJI Assistant 2 software on your laptop. This Assistant 2 software will automatically recognize your Phantom 4 quadcopter. Click on the Phantom 4 box to enter the home screen. If there is a new firmware update available it will be marked with a red box. Click the “Upgrade” button and the application will start to download the latest firmware update from DJI. When the download is complete the firmware update will begin automatically. The firmware update will take approximately 15 to 20 minutes. After the firmware is upgraded, your Phantom 4 will restart automatically. The Assistant 2 software should show “Upgrade Successful” after the restart. The DJI Go App is the recommended software to update the Phantom 4 remote controller. In the DJI Go App, you will see an overall status and a notification stating “Firmware Requires Upgrade”. Click on this and it will bring you to the next window where the available updates are listed. If your Remote Controller has an upgrade available, then it will be listed as “RC requires upgrade”. Next, click on the “Start to Upgrade” button. You will hear a beeping sound similar to DDDD DDDD and a blue light on the remote controller as the upgrade is taking place. You will also see the percentage going from zero to 100% in the DJI Go app. When it is completed you will see in the DJI Go app that the “RC upgrade completed”. Next you need to reboot the Phantom 4 Remote Controller. When a new Phantom 4 update is available, a red banner will appear in the top of the DJI Go app stating “a new firmware version is available”. Click on the red banner. You will see an overall status and a notification stating “Firmware Requires Upgrade”. Click on the “Firmware Requires Upgrade” and it will bring you to the next window where the available updates are listed. You will see “Aircraft Requires Update, download update from DJI Go Home page”. Tap on the “Download Firmware” which will download the firmware from the DJI website to your device. When the download is complete, then attach your device (tablet, cellphone) to the quadcopter using the USB OTG cable. Next, click on “Start Upgrade” in the DJI Go App. The firmware upgrade will take approximately 15 to 20 minutes. At the end of the firmware update, your Phantom 4 will automatically restart. If you refresh your DJI Go App the red banner will now disappear. Now, here are 2 terrific videos, which take you step by step through the Phantom 4 firmware update. The first video shows you quickly how to update the firmware. The second video goes into a bit more detail on updating the Phantom 4 quadcopter and remote controller. Note: View this large selection of of DJI Phantom 4 parts and accessories here. This includes batteries, chargers, cables, cases, landing gear, shell, motors, gimbal, lens filters and much more. Here is a slightly longer video on how to update the Phantom 4 firmware. This has some great tips and best practices. Here are a few signals, which show you if the Phantom 4 firmware upgrade has failed. This firmware is still upgrading after 30 minutes. The firmware upgrade to the Phantom 4 should only take 10 to 15 minutes. The Remote Controller should also take approximately 10 to 15 minutes. A long beeping sound after the firmware has been updating for more than 30 minutes. The DJI Go App is showing less than 100% for the upgrade. If the Phantom 4 firmware update fails, try the following. Delete the downloaded firmware file from your tablet or smart phone. Then download the firmware again. Make sure that you downloaded the correct package for your Phantom 4 and follow the best practices below. Also before upgrading the Phantom 4 or Remote Controller, the software app (DJI Go / Assistant 2 app) should be up to date. If the update has failed with the DJI Go app, then try with the DJI Assistant 2. Be sure to connect your Phantom to the actual computer which has the DJI assistant on it and not from your phone or tablet. Once you’ve got it connected, you’ll need to reset your Phantom to its original factory state / setting pre-firmware upgrade failure and then try again to upgrade again. Since the release of the Phantom 4 in the spring of 2016, there have been 8 firmware updates. The latest Phantom 4 Pro firmware update was 2018.03.08. When DJI release a new quadcopter onto the market, you will generally see new firmware releases every month. Then as all the issues are fixed or less new features been added, then the firmware releases are less frequent. Here is a list of some of the bugs fixed and new features which the Phantom 4 firmware updates have contained. You can find the full list in the “Phantom 4 Firmware Release Notes” on the Phantom 4 download page. Optimized photo color and contrast. Fixed an issue that occasionally caused flipped live view when the aircraft braked during flight. Added Pano shooting modes (with DJI GO 4 v4.1.20 or higher). Fixed a rare issue where progress could stall during gimbal auto calibration. or logged into the app during flight, including DJI GO 4 and all apps compatible with DJI aircraft. Optimized gimbal performance to improve its stability during flight. Optimized No-Fly Zone Return to Home and unlocking. Improved 4K video recording stability. Add a new feature to automatically turn off the Front LED while taking still photos or videos. This features is enabled in the “Camera Settings” section of the DJI GO app. New optimized camera and lens spectrum parameters. Much improved propeller guard recognition to reduce the chances of non detection. A change to the notification tone for gimbal initialization. Reduce the occurrence of sudden altitude drop and the drop range during flight. Fix for DNG files display issue in HDR mode. Fix to the camera live view so it does not become blurry when using a color profile. Improved encryption for vastly improved security during transmission. Optimized takeoff logic for the Phantom 4 when the compass experiences interference. Corrects system status information for some batteries. Increase the download speed for photos and videos.